A New Era of Sports in Japan will bring together thought leaders in Japan’s sports and media industry to discuss the latest trends that are shaping the market today. With Japan playing host to some of the world’s largest sporting events over the next couple of years, all eyes are on Japan as it takes front and center of the global sports stage. This invitation-only conference will take place on March 29 at the renowned Palace Hotel in Tokyo. It will feature exclusive data and insights about the market from Nielsen, as well as a series of engaging keynotes and panel discussions on how top sports rights holders, media, technology and brand executives are working to usher in a new era of sports to Japan. There will also be networking opportunities with various industry movers and shakers. 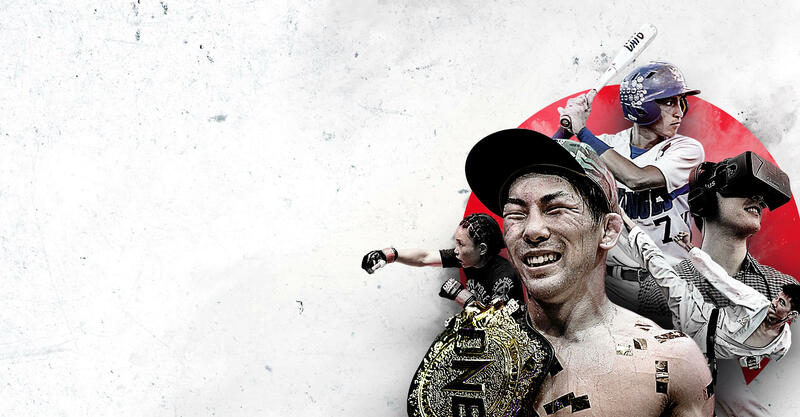 Nielsen Presents: A New Era of Sports in Japan is proudly brought to you by ONE Championship, Asia’s largest and fastest-growing global sports media property. From 7-9 November 2018, ONE Championship will be presenting the Global Martial Arts Summit and Gala Dinner & Awards Ceremony at JW Marriott, Singapore. The Global Martial Arts Summit and Gala Dinner & Awards Ceremony is the greatest meeting of minds ever to take place in the martial arts world, and will lay the foundation for the future of the industry in Asia. It will not only spotlight key trends in the martial arts world in Asia but also witness the crowning of the prestigious Athlete of the Year Awards. The extravaganza will culminate with an exciting ONE Championship event – Heart of the Lion - at the Singapore Indoor Stadium on the evening of 9 November 2018. It is our honor and privilege to invite you to attend this invite-only event, and join our growing list of superstar athletes, industry leaders, media executives, and major sponsors. To secure your place at this exclusive event, please click on the RSVP link below and register before 31 October 2018. To better understand the opportunities Japan has in the global sports scene, Nielsen will spotlight the very latest in global sports trends, taking us through how media, marketing, and technology are shaping the future of sports today. Japan has a rich history of martial arts dating back over a thousand years and spanning several disciplines like judo, karate, aikido, and more. Hear how Asia's fastest-growing billion dollar sports media property intends to usher in a new era of martial arts in Japan while showcasing the country's bushido spirit to the world. With upcoming global sporting events over the next couple of years, Japan is front and center of the global sports stage. Hear from various brands and industry stakeholders on what makes Japan a special location to hold the world's largest sports events and the opportunities this will bring as the country enters its golden sporting years. Japan is home to some of the world's largest and most successful game developers, but has only recently started to embrace esports. Various industry stakeholders such as developers, agencies, industry organizations, etc. will share their esports plans and how they intend to unlock the opportunities in this exciting and fast-growing space in Japan. From 5G to digital streaming to VR, the way of consuming sports in Japan is changing dramatically. Hear from a panel of progressive companies on how they are using technology to transform fans' engagement and interaction with sports. Join us in an exclusive fireside chat with some of Japan’s top athletes to hear about their experience in competing on both a local and global level, and what it is like to represent Japan on the world stage. Sports provides unique once-in-a-lifetime experiences that brings people together. With evolving demographics and changes in media consumption habits, hear how rights holders and broadcasters are working together to keep Japanese sports fans excited and engaged.